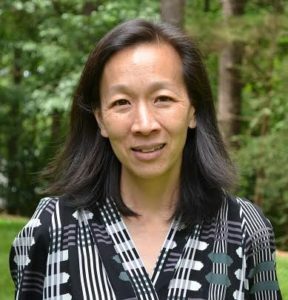 Dr. Collette Ah-Tye is double boarded in Adult and Child and Adolescent Psychiatry. After graduating from the University of Pittsburgh Medical School, she completed a residency in adult psychiatry and a fellowship in child and adolescent psychiatry at the University of California, San Francisco. She loves working with children, adolescents, and their families. She uses developmental and bio/psycho/social frameworks to evaluate and treat a wide range of problems, including adjustment, mood, anxiety, attention, and learning difficulties. Dr. Ah-Tye employs both psychotherapy and psychopharmacology when appropriate and works closely with a multi-disciplinary team at HRC to provide related services, including group, family, and couples therapy, as well as educational and psychological testing when necessary. She has a special interest in blended families and cross cultural issues.